This picture is of the Aillwee caves in Ireland. They were formed by an underground river that was fed by a melting glacier. 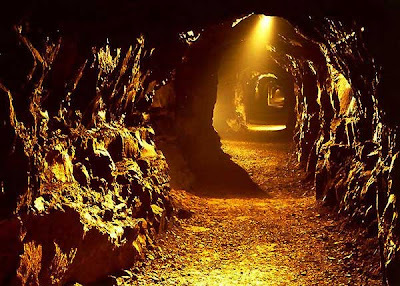 So why did a picture of an ancient cave inspire me and what could it possibly have to do with werewolves? You'll have to wait to find out! The good news is, my agent is happy with my editing and we're moving on to the stage of submitting to editors! I'm so excited I had to cut back on my coffee intake. So what's keeping me sane during the wait? You're looking at it. Writing my third book. Since it's the last Monday in October I thought I'd spotlight the books that have inspired my muse this month. I'm a firm believer that writers have to read to keep up on the trends and new voices in their genre. 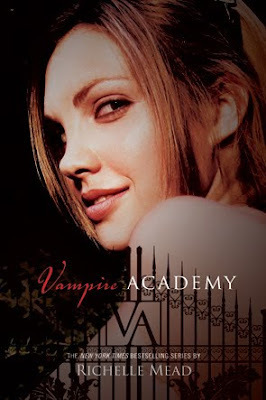 This month I started with Vampire Academy by Richelle Mead. Honestly, I didn't expect to like it. The cover was great but I thought the title was awful. However, after reading the jacket I chose this over the popular Vampire Diaries. This seemed to have far less cliques. I chose well! This book is great. The idea is original, the characters are original and well developed. I instantly cared about them. In fact, I'm going to have to get the rest of the series! raved so much about this next book that I knew I had to read it. Check these ladies out if you're in need of a good book because they review honestly and support authors they think are great. I bow to their expertise because so far, they've been right! 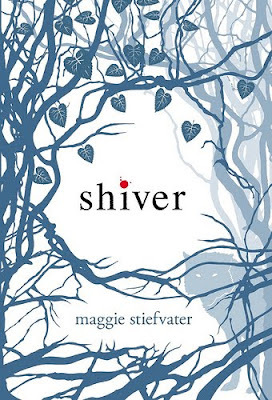 Shiver is Maggie's debut novel and it's a very different twist of a werewolf story. Since I'm writing about werewolves I like to read everything out there involving them. Maggie doesn't disappoint. Her ideas are very different than mine but it makes me like her even more. I love originality! It started out hard to get into but once I got past the very unique style and reached page fifty I was absolutely hooked. You don't want to miss this great new author and her outstanding debut. And have an excellent October!